Seen something you love? You can get it right now. 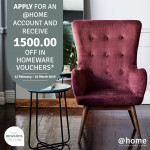 Apply for an @home account and receive 1500.00 off in homeware vouchers. 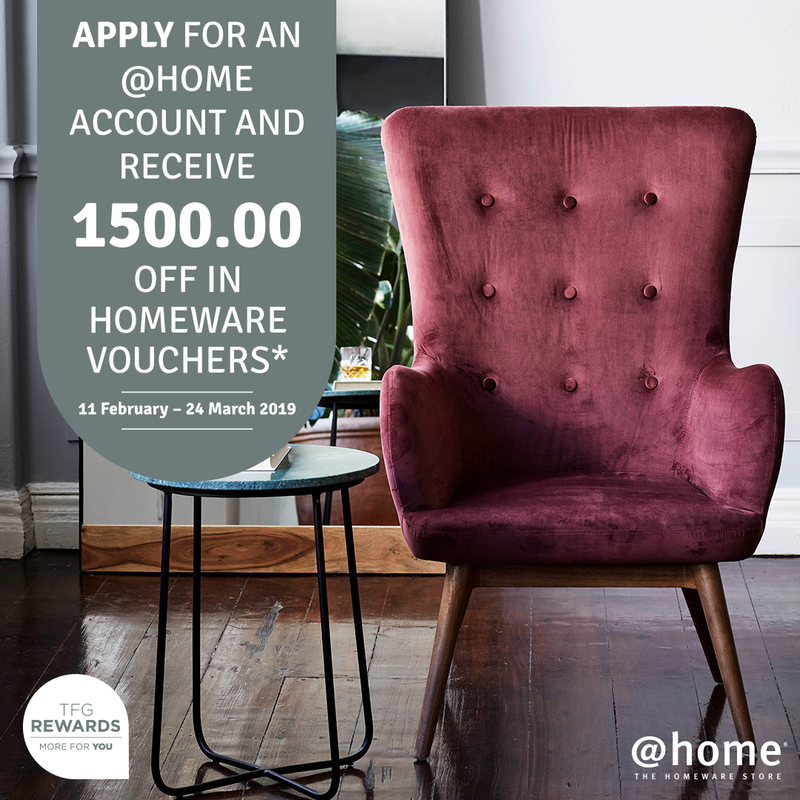 Offer valid 11 Feb - 24 Mar 2019. Apply in-store or online at: http://bit.ly/2Gvv0oi *Subject to account approval. T&C apply. TFG is an authorised credit provider. NCRCP36.